Tutuapp is the best app store for iOS users. It’s totally free app and allows you to download new apps, themes, games and wallpapers.Tutu app iOS is very easy to download and install. Follow this guide and download tutuapp iOS on your iPhone, iPad, iPod Touch devices correctly and easily. If unable to download, Follow this mirror 2 to download and install for your device. If any error with download links, Please message to us. Then Click black color Regular free button on tutuapp home page. Then it come green color, next click Download green color button for download Tutuapp. 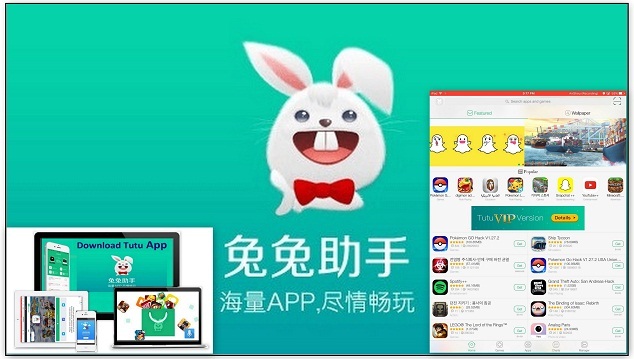 Message will appear for install Tutuapp,Click install button to install it. Go to your device home screen, you can see Tutuapp downloading on your device. After download click tutuapp icon on your device and open tutuapp. But it will not open message will appear for Untrusted Enterprise Developer cancel it and go your device settings. In settings select General > Profile & Device Management > Winner Media co.,Ltd > click Trust Winner Media Co. This will help to protect your device from unwanted errors. New message will appear to trust tutuapp. Then click trust button. Go to home screen and click Tutuapp icon again. it will open and click Don’t Allow send notifications. Go tutuapp third page and click Start Now button. Now your tutuapp is ready. Now you can Download Apps, Games, Wallpapers and so many things. Good luck….